The photograph was taken at lake Myllyjärvi south of Luukki on February 23rd. 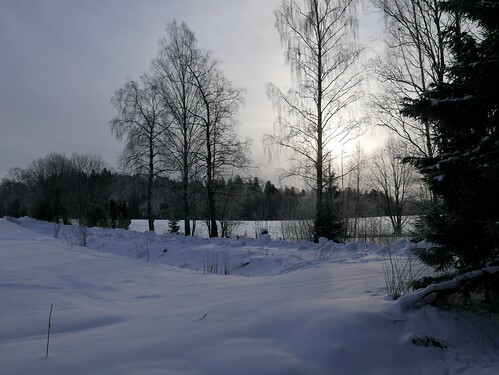 Snow and ice is melting today, and temperature will rise up to +5 °C in the afternoon. Next week seems to be colder, though, especially the nights, but at least there isn't heavy snowfall or rain the in the forecast.